if you are unable to view this email please click here to view online. it was important to ensure that processes such as new patient registrations and data entry templates are updated to stop type 2 codes being used. We note from the latest General Practice Extraction Service (GPES) Patient Objections Management (POM) data extract that your practice is continuing to record type 2 objection codes. This is to remind you that from 25 May 2018 patients should be offered the national data opt-out rather than a type 2 objection. We will still accept and convert any new type 2 objection codes set until 30 September 2018 and will write to each of your patients aged 13 or over with a new type 2 objection code recorded explaining the change. However, the earlier this transition can be made the clearer this will be for patients and GP Practices. As per our original letter we would ask that you stop recording the type 2 objection codes and instead make sure your patients are made aware of the materials explaining how data is used for purposes beyond their individual care, and that they can set their own national data opt-out to prevent this if they wish. 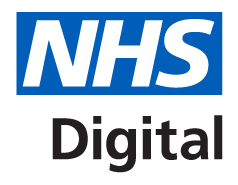 It is important that your practice moves to stop using the type 2 objection codes as soon as possible as although these are still available in GP systems they are no longer valid and from the 1 October 2018 we, NHS Digital, will no longer continue to collect, process and convert them. Please see overleaf for further detailed questions and answers. If you need any more information, please email or call us on 0300 303 5678. Why have you made this change? The national data opt-out gives people a clear choice about how their confidential patient information is used for purposes beyond their individual care. A patient can state their preference once and be confident this will be upheld by all health and care organisations (expected to be complete by 2020). It puts the patient in control of their data choices, and through an online and telephone option, enables patients to change their mind at any time. This change is the result of an independent review of patient preferences, which was conducted by Dame Fiona Caldicott and which recommended the introduction of a simple data opt-out. It has been put into policy by the Department of Health and Social Care. What was a type 2 objection? What is the national data opt-out? How do GPs record a national data opt-out? The national data opt-out cannot be set through GP systems. Anyone registered with the NHS who has an NHS number can register an opt-out online or via a telephone number, details of which are included in the patient materials. Why are type 2 codes still available in GP systems? Read v2/CTv3 codes are now ‘legacy’ terminologies and being replaced by the SNOMED clinical terminology standard from 1 April 2018. As part of this process all existing Read v2/CTv3 codes have been mapped to an equivalent SNOMED CT code so GP practices are able to continue to set type 2 objections. It was not possible to remove the codes from selection in time for 25 May 2018. The intention is to withdraw the type 2 codes in October 2018, as part of the next planned SNOMED CT code release. What does withdrawal of the type 2 code mean? SNOMED CT allows for codes to be removed from selection while still preserving the original code in the patient’s electronic record, so it will still be possible to see type 2 objection codes that have previously been recorded in the patients record. What happens if a type 2 code is recorded on 25 May 2018 or later? Type 2 codes should no longer be used, and it is important to ensure that processes such as new patient registrations and data entry templates are updated to prevent this from happening. There will be a transitional period through to the last GPES collection at the beginning of October 2018 where type 2 objections recorded up to October will continue to be collected and converted to national data opt-outs. Registering a type 2 objection code after this last GPES collection in October 2018 will mean the patient will not have a national data opt-out automatically put in place and the type 2 objection will not be applied as it is no longer valid. Where type 2 codes are converted in the period up to October we will write out to those patients affected to inform them of the change to the national data opt-out. How long will this transitional period last? The transition period will end with the last GPES POM collection at the beginning of October 2018. What about other patient opt-outs and objections? Any other types of opt-out or objections that are held in the patient’s electronic record will still apply and it is for your practice as the data controller to ensure these are applied where relevant. What happens to type 1 objections? As part of the review that identified a national data opt-out should be introduced, type 1 objections were considered, and it was agreed that they should continue to be respected until March 2020 when the Department of Health and Social Care will consult with the National Data Guardian on their removal.